The following article was contributed by Air Tech, a Virginia-based HVAC contractor. This summer, temperatures have been scorching all over the United States! Heat like this leads to a huge increase in air conditioning bills for most of us, but those without air conditioning are truly suffering. Unfortunately, the heat became an issue earlier in the year than normal thanks to the high temperatures. A cool roof is made with particular construction processes and materials to ensure that the roof has a strong solar reflectance (meaning the roof reflects sunlight instead of absorbing it) and a high thermal emittance (meaning it radiates heat instead of absorbing it). In layman’s terms, it is a roof that is made to reflect heat. Just as a white t-shirt reflects more heat from your body, keeping you cooler than you would be if you were wearing a black t-shirt, which would absorb more heat toward your body, making you warmer. What materials are used to make a cool roof? Foam Roofing System— These foam systems typically have a heightened amount of insulation to begin with since they are made out of foam. A layer of reflective coating can be added, which turns the foam roofing system into a cool roof. Metal— Metal roofs can be shaped to look like any kind of roof you want. There are darker colors of metal that resemble normal roof shingles; in fact, these shingles are actually “cool” colors, giving the roof the reflective ability required in a cool roof. Factory applied- these are coatings that are added to materials before they are even put onto a roof to make the cool roof materials. These are just a few examples of materials that can be used to install or adjust a roof to a cool roof— there are other options available! 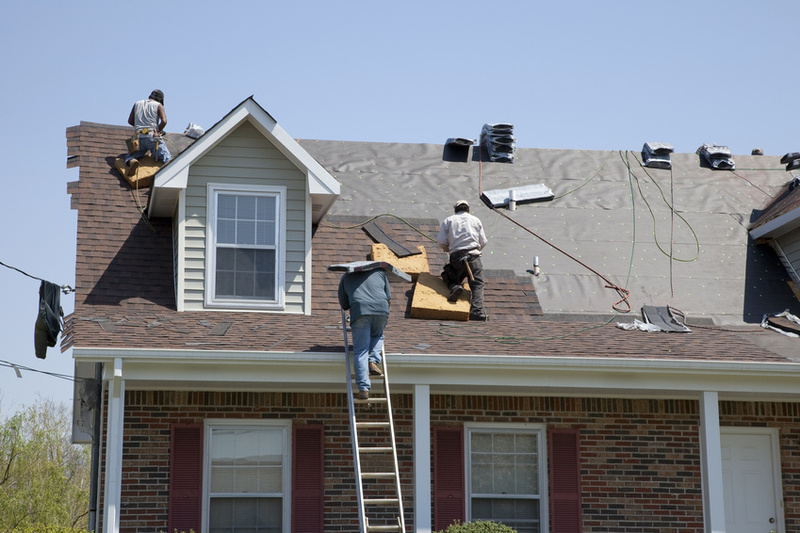 The method of construction normally decides the type of material you will use in order to make your roof a cool roof. The following are four examples of types of construction and the materials that might be used to make the cool roof. 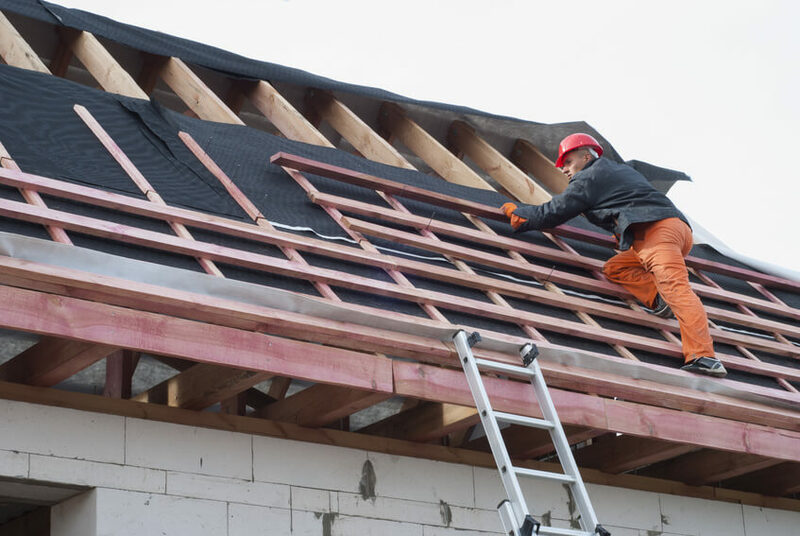 These types of roofs normally have prefabricated sheets rolled onto the roof that are held in place with gravel or fasteners., to name just a few options. To make these roofs cool, it would just be a matter of making the sheets out of a reflective or cooling material and color. Normally made out of a shingle material, steep sloped roofs can be modified with coated granules on asphalt shingles that are light and heat reflecting. If you have tile instead of asphalt, these can normally be given a coating, making the tile water resistant and in a color that is reflective so as to not absorb heat. Now, it’s a cooling roof. 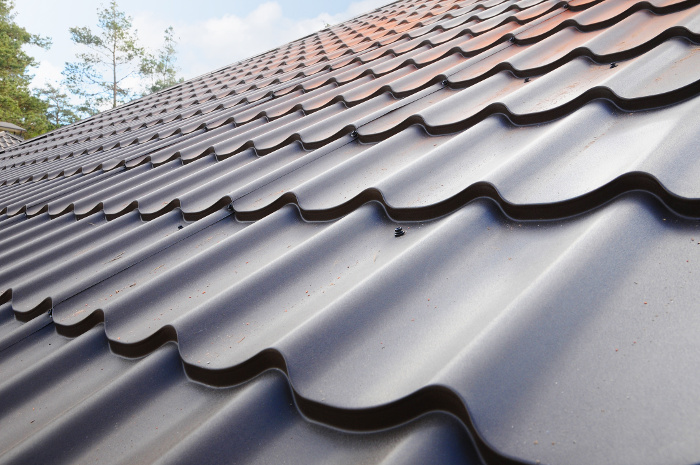 Metal is typically utilized in situations where both kinds of roofs are on the same building. While unpainted metal is good at the reflecting part of a cool roof, but it doesn’t perform as well at thermal emittance— the solution is to paint! Paint the metal roof in a cool color and transform it into a cool roof. What are the Pros of a Cool Roof? If you live in an area where the weather for much of the year is warm, necessitating the use of an air conditioner, a cool roof can dramatically cut down your utility bills. You may even be able to use a smaller air conditioning unit, saving even more money. The life of your air conditioning unit will also be extended. If you are in an urban area, you will decrease your contribution to the Urban Heat Island Effect. In the summer urban areas are much warmer and part of that is the heat coming from the roofs of all the many and varied types of buildings. What are the Cons of a Cool Roof? If you live in a colder climate, your utility bills during the wintertime could rise due to the loss of heat through your roof. 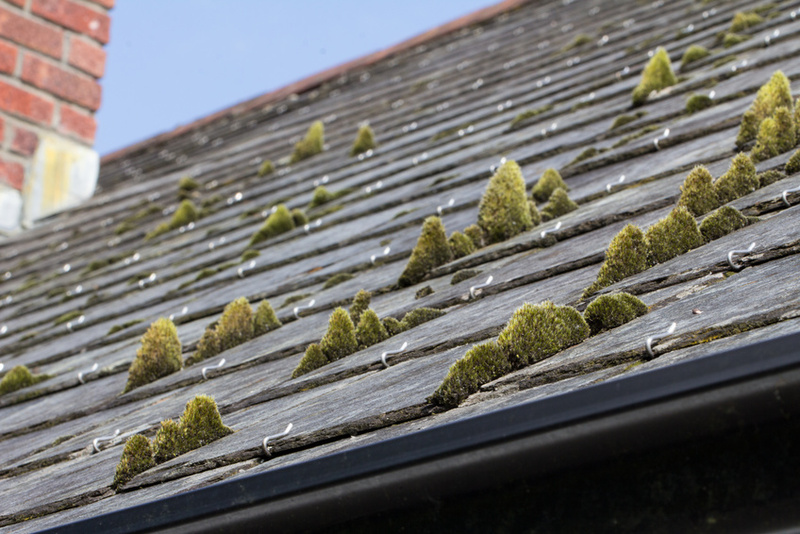 Cool roofs are also more likely to have a growth of algae and mold in a cooler climate; if you are interested in a cool roof for the summer, make sure to ask you installer for a coating of a chemical to suppress mold and algae growth. Proper construction techniques can avoid the accumulating moisture as well, so be sure to discuss this possibility with your installer as well. If you’re carrying the weight of heavy cooling bills month after month, it might be time to consider a short term investment with long term gains! Consider installing a new cool roof, or even transforming your existing roof into a cool roof today!